Although it is not the capital city, Sydney is the largest city in Australia; it is also the most popular tourist city in Australia with great restaurants, the Opera House, the Sydney Harbour Bridge, and so much more. Located in the southern hemisphere, the seasons are reversed. The winter lasts from May through August - this is the coolest time of year but room rates go down. Sydney’s peak season is between December and February, and if you live in a cold climate, this is the best time to visit Sydney. The New Year’s Eve fireworks over the harbor are stunning. September to November and March to May are also great times to visit with pleasant weather and fewer crowds. January is the hottest month annually in Sydney with the average high temperature hitting 79°F (26°C). The average low temperature is at 66°F (19°C). Meanwhile, it’s the perfect month to head out for beach or lake trips with sea temperatures at 73°F (23°C). In February, the high and low temperatures stay the same at 79°F (26°C) and 66°F (19°C) respectively. March is the wettest month on record annually with a precipitation average of 164 mm. The average high temperature decreases to 77°F (25°C) as fall arrives and the average low temperature goes down to 64°F (18°C). Sydney Weather in April: The climate continues to cool in April with the average high temperature decreasing to 73°F (23°C). The average high temperature also sees numbers decreasing further to 59°F (15°C). In May, the average high and average low temperatures range between 68°F (20°C) and 54°F (12°C). Additionally, the precipitation rates lower to 101 mm. June sees the average high temperature decreasing to 64°F (18°C) for the first month of winter in Sydney. Similarly, the average low temperature drops by the same amount to 50°F (10°C). In July, the average high and the average low temperatures measure in at 63°F (17°C) and 46°F (8°C) respectively making it the coldest month of the year for Sydney. It’s also the driest month annually with just 65 mm of rainfall. Sydney Weather in August: As the last month of winter, August brings in temperatures just a tad bit warmer than the previous month. High temperature averages come in at 64°F (18°C) while the low temperature average sees a 2-degree increase to 48°F (9°C). September marks the beginning of spring in Sydney which comes with 65 mm worth of light rain showers. The average high temperature rises to 68°F (20°C) while the average low temperature jumps to 54°F (12°C). In October, temperatures continue its upward trend with the average high temperature hitting 72°F (22°C). The average low temperature also increases to 57°F (14°C). November sees a dramatic increase in rainfall with precipitation averages jumping to 116 mm. Meanwhile, there are small shifts upward in temperatures with the average high and average low temperatures measuring in at 75°F (24°C) and 61°F (16°C) respectively. Sydney Weather in December: It’s a beautiful sunny start to Sydney’s summer in December with 9 hours of daily sunshine – the highest for the year. The average low temperature and average high temperatures range between 64°F (18°C) and 79°F (26°C). 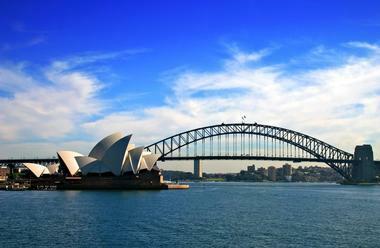 Generally, the best times of the year to visit Sydney are between September and November as well as March through May. During these months, the tourist crowds are a bit more manageable. As the shoulder seasons, these months also have some great deals on airfare and accommodations. Adventure seekers will have a great time in March through May as winter approaches. The cooler temperatures make outdoor activities much more bearable and the city is also a little less occupied. There are several ways to get to Sydney. The Sydney International Airport is the largest airport in Australia and this airport is conveniently located just five miles from the city center. Shuttle buses link the international terminal with the domestic terminal. For train lovers, you can reach Sydney by train from other cities in Australia. Sydney’s main train station is the Central Station and this is a major transportation hub. You can also arrive in Sydney by bus: this is a comfortable and inexpensive way to arrive in Sydney. Greyhound buses arrive and depart from the Sydney Coach Terminal. Another way to arrive is by boat: cruise ships dock regularly in Sydney. The Airport Link Company (ALC) operates trains that link the airport with Sydney’s city center. At the airport there are train stations at both the domestic and international terminals. All of this system’s stations are located underground: the system was built so that it was completed before the 2000 Summer Olympics in Sydney. Another way to get from the airport into downtown Sydney is by using the Sydney Airporter. These are buses that stop at both terminals every 15 minutes. This is a convenient way to get into Sydney because the buses will drop you off at hotels in the main parts of the city. After enduring a long flight and arriving in an unfamiliar airport, it’s nice to know that there are smiling faces behind the Airport Ambassador Desk at the Sydney International Airport. These information desks are located in both the international and domestic terminals. The staff members will help you plan your trip even before you leave the airport: this is a relaxing way to start a visit to Sydney. In the city itself you will find several other information centers with staff who will help you. One is the Sydney Visitor Centre at The Rocks: here you can pick up maps and brochures. The Sydney Visitors Centre Darling Harbour and the Manly Visitors Information Centre are two more sources. There are several good ways to get around Sydney. It’s a big city so the trains are a great way to see the attractions. The good news is that the train system in Sydney is very tourist-friendly and easy to use: it is popular with residents and with visitors. The most important line for tourists is the City Circle Line: this makes a circle around the center of the city, and this is the best way to access the main attractions in the city. Buses are also a good way to get around Sydney. You can buy single fares or passes. Sydney is famous for its waterfront restaurants: some people think that Sydney has the best waterfront dining in the world. 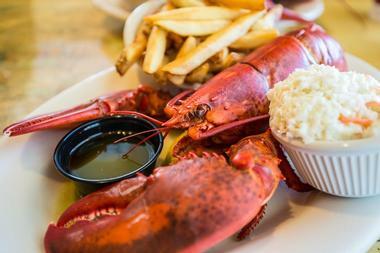 Some of the city’s finest restaurants are located on the water’s edge with views of the spectacular harbor or the blue Pacific Ocean. Contemporary Sydney cuisine consists of fresh local ingredients and is a mix of European and Asian influences. Sydney is the home to people from all over the world: one of the results of this is the huge number of restaurants serving ethnic cuisine. Some of the ethnic cuisines include Chinese, Greek, Italian, Japanese, Lebanese, Malaysian, Portuguese, Turkish, Vietnamese, and more. Shoppers will be delighted to find out how many shopping areas and malls are found in Sydney. Many visitors will want to explore the shops in the area called The Rocks as well as along George Street and Pitt Street. Other areas include Mosman on the North Shore, Double Bay in the easter suburbs, and the shopping centers in Chatswood. 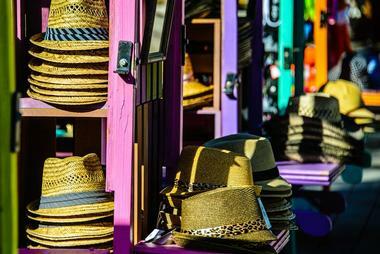 The best shopping area in Sydney is located within a few blocks in the central business district. Built in 1892, the Strand Arcade is interesting for its architecture as well as for its many boutiques and cafes. The Queen Victoria Building is another favorite place to shop. 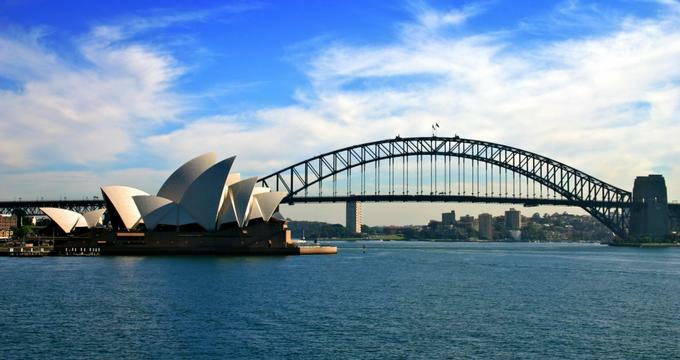 Sydney is made up of many neighborhoods and visitors will enjoy exploring some of these. South of Sydney Harbour is the Circular Quay: this is an important hub for trains, buses, and ferries. 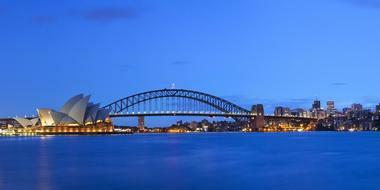 It is located between the Sydney Opera House and the Sydney Harbour Bridge. Other things of interest here are the Contemporary Art Museum, The Rocks, and the Royal Botanic Gardens. Darling Harbour is the home of the Sydney Aquarium, the Australian Maritime Museum, and Sydney’s main convention, entertainment, and exhibition center. North of Sydney Harbour you’ll find places like Manly, the famous ocean beach that can easily be reached by ferry from the Circular Quay. 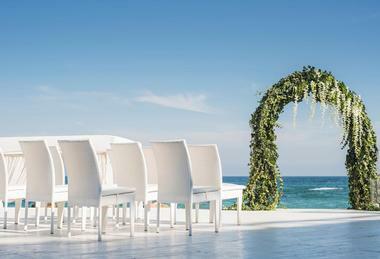 With such spectacular views, Sydney is a major destination for people who are looking for a fantastic wedding venue. Foreigners can get married in Australia: you need to complete the Notice of Intended Marriage form at least one month before your wedding. On the day of your wedding you will need to sign three marriage certificates: you also need two witnesses. Some of the most popular hotel wedding venues include the Castlereaugh Boutique Hotel, the InterContinental Sydney Double Bay, the Sir Stamford at Circular Quay, and many more. If you are interested in an ocean view, try the Novotel Sydney Manly Pacific Hotel. The Sydney Observatory is also a popular wedding venue. There is a huge variety of accommodations in Sydney and the surrounding area: there are luxury hotels, resorts, bed and breakfasts, campgrounds, cabins, farm stays, cottages, self-contained apartments, and hostels: something for everyone! Many people choose accommodations around The Rocks and Circular Quay: this makes it easy to see some of the famous nearby attractions. 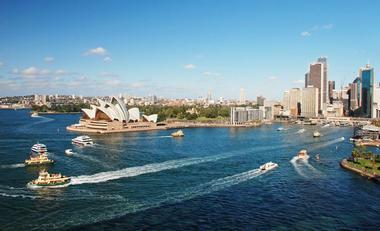 It is also a great location because Circular Quay is an important transportation hub. There are also many hotels around Darling Harbour which is close to museums and the Sydney Aquarium. 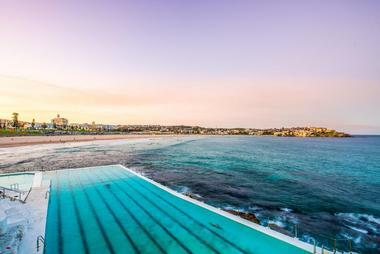 Manly and Bondi hotels will appeal to visitors who want to be near the ocean.